Wales defender Joe Rodon has signed a new long-term deal with Swansea, tying him to the club until 2022 after impressing in the early stages of the season. The 21-year-old has been central to the Swans' strong start to their 2018/19 campaign, making 11 appearances at the heart of a defence that has conceded only 11 goals in 15 games - the second best defensive record in the division - as Swansea sit just two points outside the playoff places. A product of the club's esteemed youth academy, his current deal was due to expire at the end of the season, but his long-term future with the ​Championship club is now secure. Speaking to the club's ​official website, Rodon said: “It’s great news for me and my family. “I’m delighted to get it done which means I can now concentrate on my football and look forward to the future. “The last few months have gone so quickly - reality still hasn’t hit me. “To get this new deal is another dream come true. I’m looking forward to seeing what the future holds." 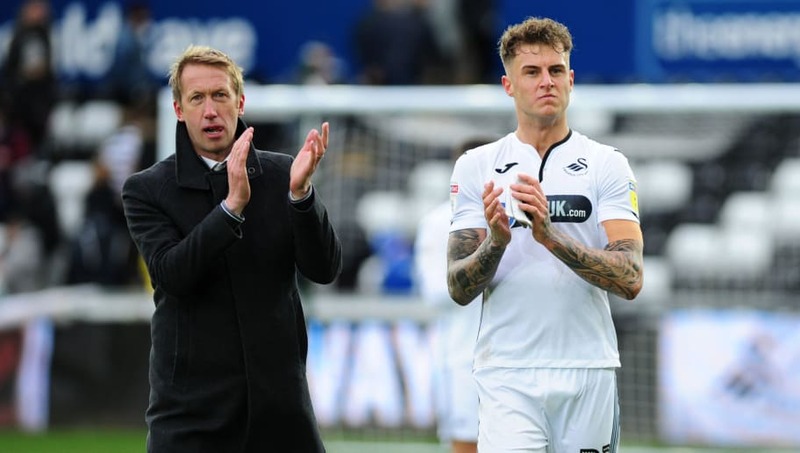 Since making his ​Swansea breakthrough in a win over ​Preston earlier this season, Rodon has established himself as an important player under new boss Graham Potter, earning himself a first international call-up with Wales earlier in the season. His focus for now, however, lies on club football, as he added: “I want to stay here and take it step by step. “These are exciting times at the club and hopefully there are great things to come in the future.